This is another Fancy Dessert from my 1860’s Mrs. Beeton’s Cookbook!! 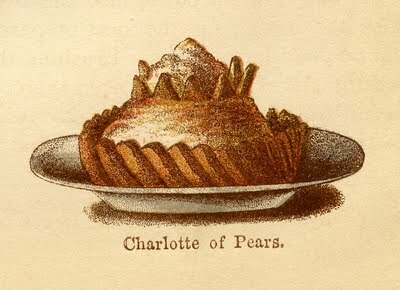 This one is a Charlotte of Pears. 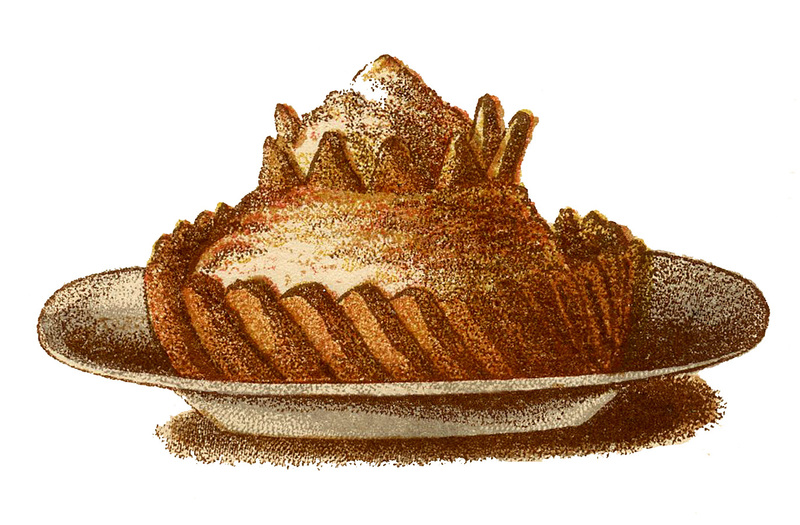 You may recall another dessert that I posted from this cookbook, you can find it Here. I made a couple of versions of this for you, I couldn’t help but make a pink one too! 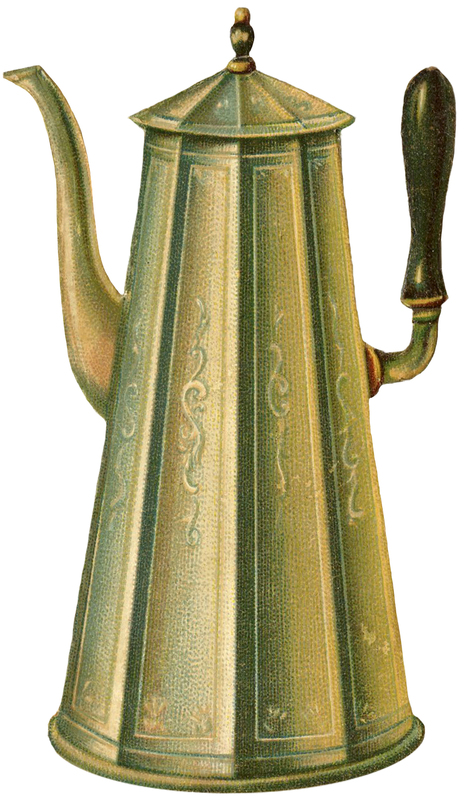 Vintage Coffee Pot Image Free Vintage Potato Download! Nostalgic Tea Advertising Label! Just imagining the amount of time it took to make that wonderful treat way back when. EVERYTHING from scratch. No fridge, no microwave, no convection oven! Ahhhhhh! LOL. Great image! You know it!! Everything had to be mixed by hand too, with a big wooden spoon! I’m glad you like the image.